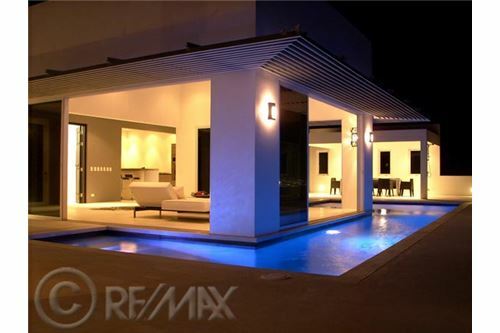 Just walking into this home already takes your breath away! 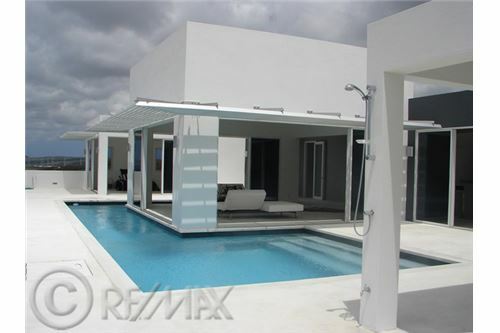 The simple yet elegant floor plan plus the meticulous attention to detail makes this a one of a kind home on Bonaire. 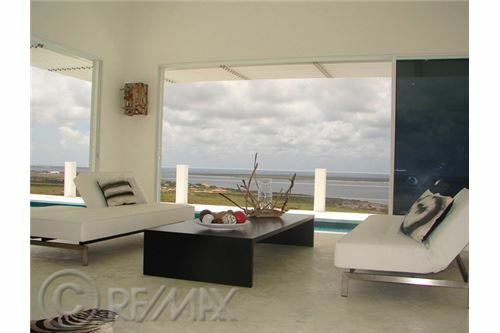 Perched high in Sabadeco Terraces, this home enjoys a commanding view over the entire western side of the island. 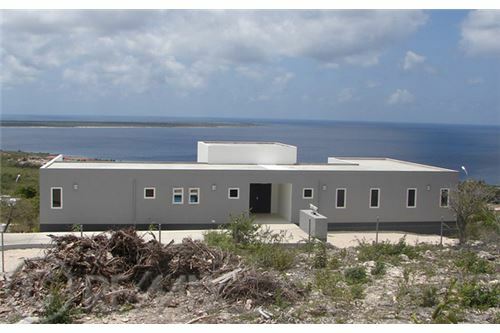 Views to Klein Bonaire are limitless. 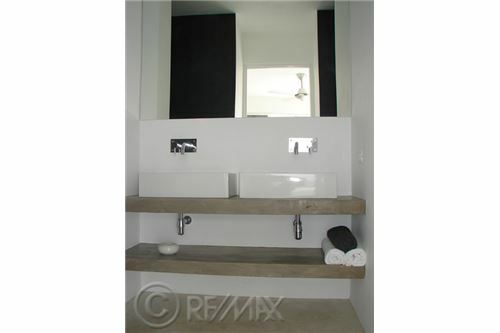 The delightful home has a sleek, modern design yet is open and inviting. 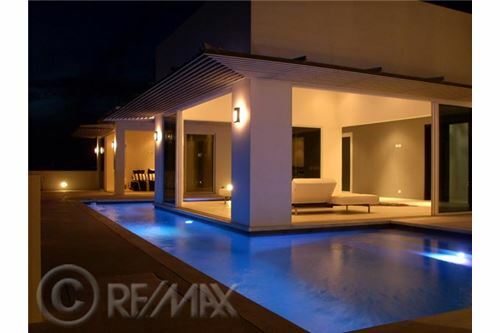 This 4 bedroom, 4.5 bath home is perfectly located on the lot, in order to take maximum advantage of both the wind and the ocean views. 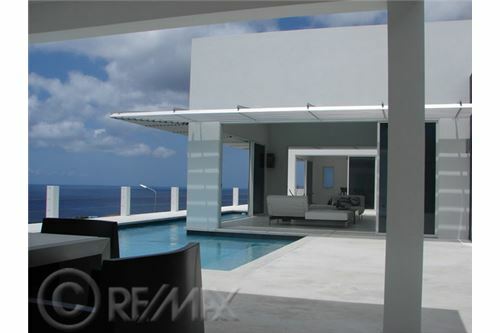 As you enter the home, you are immediately drawn to the ocean view and then to the open floor plan. 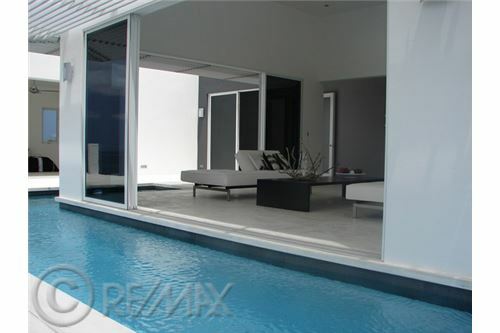 The living room of this home seems to float in the middle of the homes swimming pool. 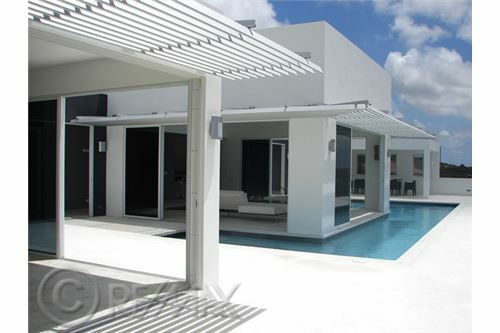 This design of this home is open and airy, and yet it can be easily secured when you are away. The quality of the construction and finishing on this home is flawless. 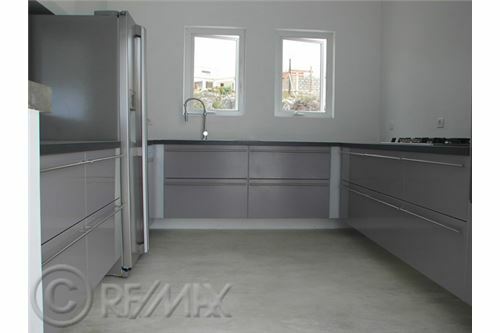 The home has top-quality aluminum windows with screens and high quality fixtures throughout. 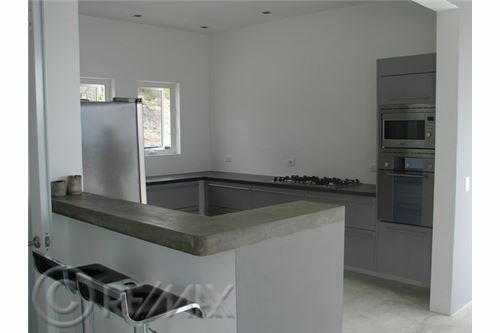 You need to see this home in order to appreciate the thoughtfulness of its design and quality of its construction. 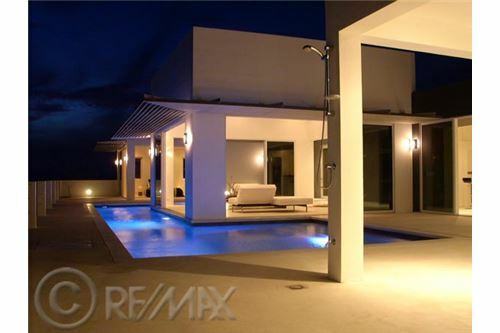 Just walking into this home already takes your breath away! 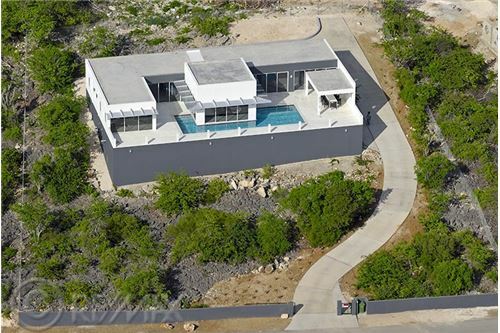 The simple yet elegant floor plan plus the meticulous attention to detail makes this a one of a kind home on Bonaire. 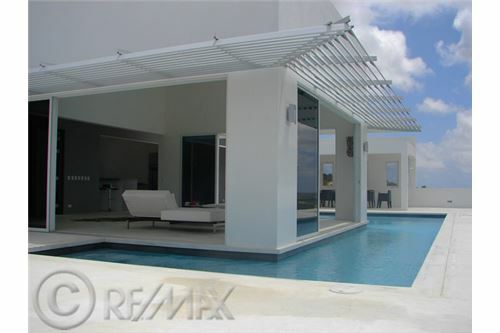 Perched high in Sabadeco Terraces, this home enjoys a commanding view over the entire western side of the island. 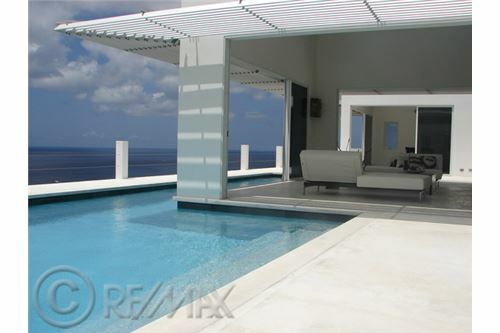 Views to Klein Bonaire are limitless. 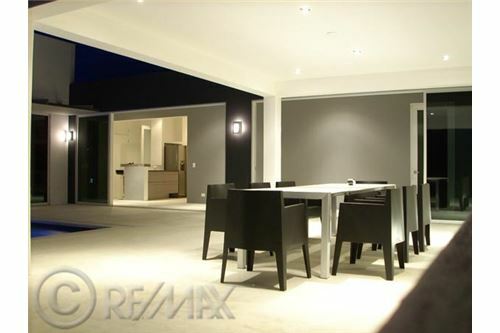 The delightful home has a sleek, modern design yet is open and inviting. 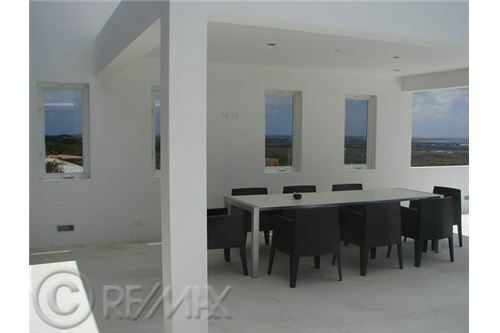 This 4 bedroom, 4.5 bath home is perfectly located on the lot, in order to take maximum advantage of both the wind and the ocean views. 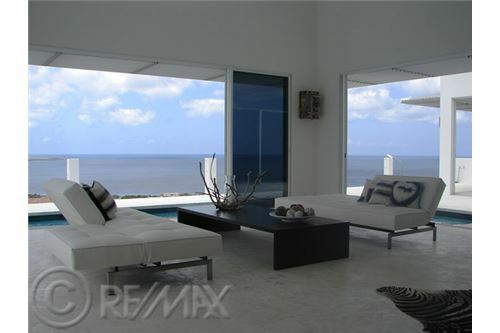 As you enter the home, you are immediately drawn to the ocean view and then to the open floor plan. 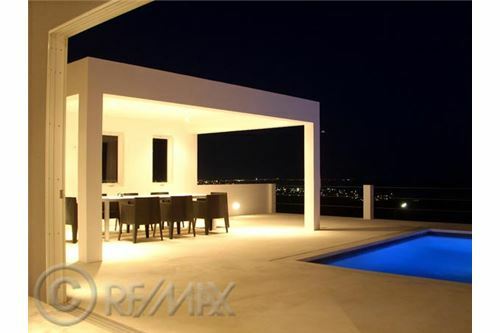 The living room of this home seems to float in the middle of the homes swimming pool. 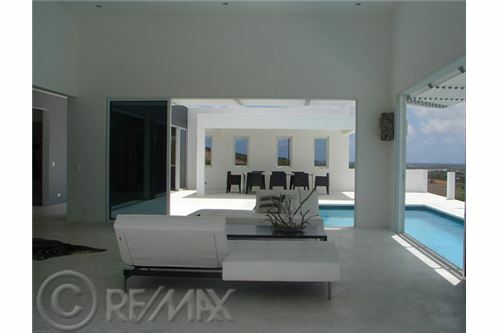 This design of this home is open and airy, and yet it can be easily secured when you are away. The quality of the construction and finishing on this home is flawless. 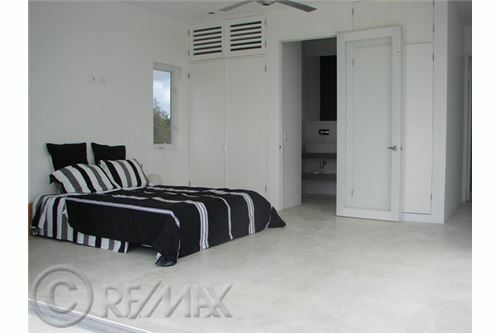 The home has top-quality aluminum windows with screens and high quality fixtures throughout. 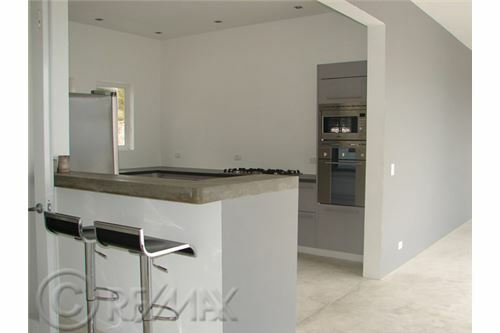 You need to see this home in order to appreciate the thoughtfulness of its design and quality of its construction.